Nellie Dawson is a new geometry and trigonometry teacher in the math department at CVU. To get to know her more, let’s start with how Nellie, a young woman from Western Massachusetts, knew she wanted to spend her life here in Vermont even before the beginning of her junior year of high school. An avid skier, she came to Vermont on a college tour with her older brother. Luckily for UVM, Nellie chose to attend (even though her brother did not), thus beginning Nellie’s pursuit of a teaching career here in Vermont. After graduating with her teaching degree in mathematics from UVM, Nellie got a job at Lamoille Valley High School. For two years, Nellie gained experience in teaching, finding that there is a large disconnect between proficient math students who enjoy mathematics and those who see math as a waste of time. “They’re stuck in the same class,” said Nellie, who later admitted that one of a teacher’s great challenges is to be able to connect with different types of students and their various learning styles. HINESBURG, VT– With all the recent winter storms and snow days that the Chittenden County area has recently experienced, some seem to be skeptical of the idea that the Earth is actually warming. According to the National Weather Service, the Burlington area just experienced its greatest snowfall in the month of January since 2010 (41.3 inches) and only the second instance of 40+ inches of snow in January in the past 40 years. However, the notion that snowstorms disprove the concept that the world is getting warmer is misguided and simply false, based on the statistics on climate and weather changes. According to the 2017 Climate Science Special Report, “global annually averaged surface air temperature has increased by about 1.8°F (1.0°C) over the last 115 years.” This report also states that the planet is in the warmest period “in the history of modern civilization.” The report notes that the global average sea level has risen by 7-8 inches since 1900, with almost half of that growth coming since 1993. Since 2008, the CVU art community has participated in the Memory Project, giving back to the world in just one small step through small acts of kindness. The portraits that participants create for children in traumatic life situations are meant to encourage self-worth, as well as let them know others see them and their struggles. Have you ever needed to make a video for one of your classes at CVU? Three years ago it wasn’t as easy to as it is now. There was no green screen, no sound room, and taking out equipment was nearly impossible. Or, at least, it was nearly impossible until several film teachers talked to Nick Molander, a CVU administrator, about upgrading the AV room to better meet the needs of students. Molander and Adam Bunting, CVU principal, understood the issues teachers brought up and took action. Bunting sought out Gary Lambert, who was teaching at Burlington Tech Center to fill the vacant media position at CVU. “I was impressed with the work he did over at Burlington Tech. He built a studio and program over at Burlington that kids fell in love with,” said Bunting. That’s exactly what Bunting wanted Lambert to do at CVU, and Lambert’s expertise made it happen. Lambert went to work, finding out what students and faculty wanted and needed. “It was my dream since I walked in the door to build a studio kids could use. They hadn’t had anything like it,” Lambert expressed. Since Lambert has come to CVU, there is now an entire studio in room 116 that includes almost everything you would see in a professional studio. It has everything from a green screen to a soundboard. The room is even carpeted to reduce the amount of echo when filming. There is a separate sound room inside the studio for strictly recording audio. This room is almost completely soundproof, and they are working to make the whole studio soundproof so there won’t be any outside noise. HINESBURG, VT- Each spring, Champlain Valley Union High School students set off on a bus to Winston-Salem, North Carolina to take part in the annual Habitat for Humanity trip. This year, 31 students and five chaperones will leave on Saturday, April 20th, and return on Sunday, April 28th. Participants also meet CVU students that they may not have connected with before, creating new friendships that last a lifetime. “They get to have an “alternative” spring break and enjoy some warm weather, and, it looks good on their transcript/resume or makes an excellent college essay!” according to the site. Courtesy of Karen Needler, CVU Teacher. On January 12th and 13th, eight students took to the streets to collect bottles donated by the CVU community. The fundraiser was held by CVU’s Junior Class Council in order to to raise money for the Junior class. In the midst of Vermont’s cold winter, they looked to their community in order to collect bottles in an effort to raise money for upcoming Junior class activities. Camille Menard, a CVU junior who participated in this event said, “I’d definitely say it was cold… We were in the Hannaford bottle area for over an hour, our hands were freezing… The conditions were not ideal.” Students battled the chilling temperatures in order to raise money for their junior class. Collecting bottles is just one way students work to raise the funds that pay for events like Winter Carnival and Junior Prom. Karen Needler, a CVU math teacher and Junior Class Council advisor said that parents from Shelburne to Williston contributed. Over a hundred dollars were raised in this effort, according to Needler. The 2019 CVU Cool Schools Penguin Plunge in Burlington, VT made another huge impact on Saturday, February 2nd, 2019, for Special Olympics of Vermont. There were over 176 participants, according to a school poster that was located in the hallway. The Cool Schools are schools with Unified Sports Programs, which allow uniquely abled and intellectually disabled students to play school sports such as basketball, bocce, and bowling. The Unified Sports Team has a coach like any other sports team, but the biggest difference is that there are typically non-disabled students, known as partners, to help individually coach students when they need extra help. Rahn Fleming, CVU Learning Center Director, stated, “The Penguin Plunge is important to CVU because it is a chance and an opportunity for us to live our message of inclusion and singleness of purpose.” Fleming also stated that the first year CVU only had a small crew, which comprised between fifty and a hundred participants in 2013. Peter Booth, a math and Nexus teacher at CVU said that the first Penguin Plunge in 1995 had only ten people and that has increased significantly, growing to over 2,000 plungers in Vermont. “It’s painted backward, the drainage is poor, and the surface is worn down,” Champlain Valley Union High School Track and Field Captain Luke Morton commented about the condition of the current CVU track. The CVU Track and Field program hopes to benefit from a resurfaced track, as proposed to the CVU school board at a recent meeting. Morton implied that although the track conditions are poor, it may be the least of the program’s worries. He cites, “Diminishing participation and inadequate funding,” as just a few of the problems which have contributed to the team’s struggles over the past three years. Morton also suggested that the current status of the deteriorating facilities reflects the state of the track program. 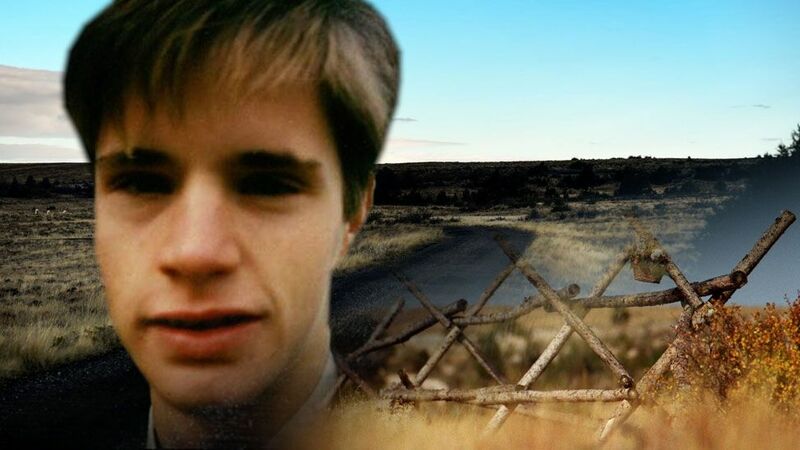 On October 6th, 1998, 21 year old Matthew Shepard was kidnapped, beaten, tortured, and left to die in Laramie, Wyoming. Six days later, he passed away due to head injuries, and the story shook the country for a big reason: not only did people find the murder itself horrific, but horrific turned to devastating when people learned Shepard was killed because he was gay. Twenty years later, the story continues to leave a mark, as it’s hard to forget what happened in the small town of Laramie. This year for the spring play, CVU decided to put on The Laramie Project, a show that depicts the aftermath of the death of Matthew Shepard. The play was created by The Tectonic Theater Project, and the script is verbatim theatre: it’s crafted from actual interviews, journal entries, and news reports from after Shepard’s death. The authenticity of the script of the play puts audience members right into the story, thus making it more moving. The cast is comprised of an ensemble, and each member plays multiple characters, which along with the structure of the script, creative blocking, and use of projections, provide a unique representation of the event. Candy Padula, director of the play, states, “I was alive when this incident happened and I remember the world wide reaction to the beating and murder of this young University of Wyoming Student, Matthew Shepard, because he was gay. The reaction was enormous.” The Laramie Project allows for both those who remember and those who don’t remember the event to feel its message and importance through the stage. This year’s 2018 “UVM Outstanding Teacher Award,” goes to Sarah Malcolm, a science teacher at CVU. Every year, Vermont offers awards to teachers to highlight their notable teaching skills recognized by other staff members and students around the school. Malcolm has been teaching science for 14 years at CVU, and first started teaching in Massachusetts. What got her into teaching was coaching field hockey while she was injured playing field hockey. She liked working with high school students and fell in love with the idea of helping kids and being a mentor for them. “I really liked science and a bunch of other subjects, but primarily I loved science and working hands on with some math and vocabulary, and there’s a lot of skills embedded in science, and I liked putting all them together,” said Malcolm. Malcolm both coached and taught here at CVU, and at prior schools for the first half of her teaching career. She then stopped coaching once her children got older, but continued to bring her teaching skills to the classroom everyday. Malcolm loves many things about being a teacher. What she loves most of all is spending time with her students. “One thing I love is the environment that gets established in a classroom after some time. I also love the team aspect that occurs and that students find ways to collaborate together. I love seeing them pushed to as far as they can go,” said Malcolm. She never fails to keep students awake and alert during class with her funny humor and remarks. Malcolm has many strengths as a teacher. “Things that I feel very confident about is my establishing of relationships with students and them establishing relationships amongst each other within class. I feel very confident about the subjects that I teach and my understanding and knowledge of those subjects. I also love strategizing and planning for what we actually do in class and how we get there,” said Malcolm. Although Malcolm has many strengths, every teacher has some things they could work on. “I think that over time, time has become an issue, and so I’m really into systems and being super efficient. It’s been very hard to differentiate pace in class and that’s something that I’ve been working on to do better with lack of time. I also think there’s a lot of different ways to communicate and I’m not doing all of them well so that’s an area that I’d love to improve on as well,” said Malcolm. Being a science teacher, Malcolm loves things a certain way and values being organized with her students’ work. She also values knowing what the class needs to work on in order to get better and understand the content she’s teaching. Malcolm has some areas with teaching she could improve on, but she continues to show CVU her outstanding teaching skills. Malcolm enjoys teaching at CVU and is very appreciative of what CVU has to offer. “I really like the people at CVU. I love the students and faculty here. I think we have an excellent faculty and staff. I like collaborating with my colleagues and having the opportunity to be creative, and I think there’s a lot of things you can try here that you can’t at other schools,” said Malcolm. Malcolm also loves being able to express herself in class with her students. She feels very comfortable being herself which is something she values. “It’s been a very good fit for me and I’ve enjoyed my fourteen years here,” said Malcolm. Malcolm is a very well rounded teacher who inspires students to work their best every day. She knows exactly how to create the perfect learning environment that keeps students engaged and excited to learn, which is a very hard skill for teachers to achieve. The ultimate truth is that kids don’t want to go to school just to sit inside in a dark classroom all day. Most American schools follow the same model where the day is split into blocks of class, with a small break for lunch, and bells telling students when it’s time to move on. This is an incredibly outdated system left over from the Industrial Revolution when rapidly growing factories needed a way to control the large amount of workers moving through their facilities. Most class schedules are designed without regard to the multifaceted needs of a student today. Students need a schedule and a space to learn that helps maintain a healthy lifestyle and mindset. A large part of this is getting outside and moving around. An experiment by the Department of Hygiene and Public Health at the Nippon Medical School found that students who were sent into the forest for two nights (know as forest bathing or “Shinrinyoku” in Japan) had lower levels of cortisol (a stress marking hormone) than those who spent two nights in the city. The constant buffer of our dark classrooms is stressing students much more than needed. With college on the seniors’ minds, everyone is wondering if their SAT scores are high enough, if their GPA is up to par, and whether or not their essay says what they intend it to. However, one thing that students tend to put in the back of their mind is the number of Advanced Placement (AP) classes they have taken and how they will have performed in those classes. At Champlain Valley Union High School there are 10 AP classes offered: Chemistry, Biology, Physics, Calculus, Statistics, U.S. Government and Politics, Studio Art, Music Theory, Human Geography, and English. All of these classes are yearlong and the demand for enrollment is high. For classes such as Human Geography and Government, it takes as many as three blocks to fill the demand, and even then there are many students stuck on the waiting list. Although it is great that so many students are interested in these classes, it is quite upsetting for many to hear that CVU cannot meet their demands– all students should have access to these critical college-level classes. The big question is why are students so intent on taking these classes? Ben Wetzell, a CVU junior taking two APs, explained it perfectly. “When I went and toured at Tufts [University], they said that you should definitely be taking AP classes! For them, it is an indicator of your work ethic.” Bay Foley-Cox, a senior who has taken a total of five APs, elaborated on this idea, “In a world where attending college in incredibly important, students in high school should gain some exposure to what it is like to take a college course. I think AP classes encompass a lot of the values in terms of education that we treasure at CVU. 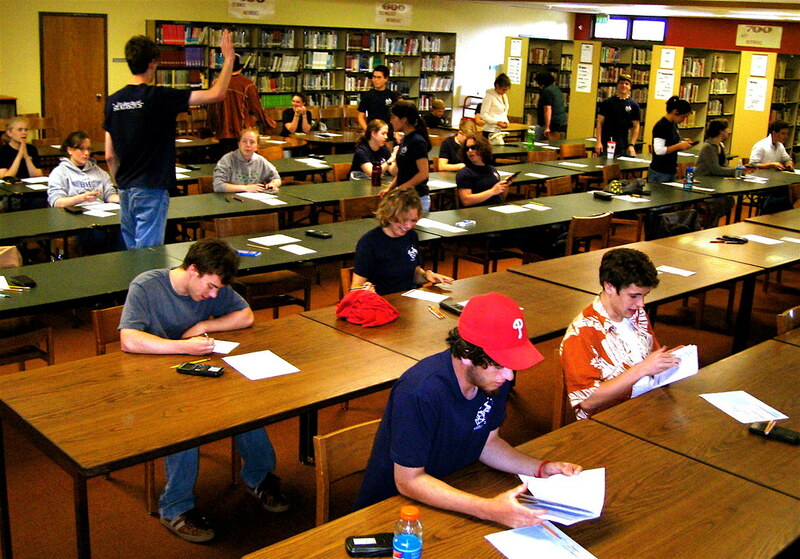 Also, every single admissions session I have attended has said that they are looking for a difficult class load and a good performance in those classes.” Wetzell and Foley-Cox have captured the very reason APs exist: to give students the opportunity to experience college level work before attending college. This is something that colleges love to see as it gives them a sense of how students deal with average high school courses as well more challenges ones. Hinesburg VT — For two weeks at the end of the 2018-2019 school year, CVU students will not be having traditional classes. Instead, they will be participating in a program called “RISE,” which consists of teacher-run activities that students may not have access to inside or outside of their regular classes. Every-other Tuesday at 10:00 am, CVU Student Body Co-President and Student Council News Anchor, Nicole Eaton, is hard at work. Along with notorious CVU AV expert Gary Lambert, Nicole produces bi-weekly news segments in order to inform the student body on the goings-on of the CVU community. This is Nicole’s first year anchoring, and she was selected not only due to her Student Council position but also because of her strong interest in broadcasting and her experiences within the field. She says that while filming this year’s welcome video, she talked with Gary regarding her college plans to study communications as well as her experiences during an internship she had with FOX 44 and ABC Local 22. The CVU anchor position was still yet to be filled, and it seemed like the perfect opportunity. “ I [love anchoring the SCN], just because this summer, when I was watching the anchors for the FOX 44 and ABC Local 22, it was really inspiring, and I didn’t really get a chance to actually practice the skills that I was seeing them use… [Now] I’m using [those] skills and it’s fun that people get to see me and that I get to see myself do something that I want to do in the future.” For Nicole, anchoring is not only an enjoyable extra-curricular activity, but also a great addition to the resume of a future communications major. Yummy! Nothing tastes sweeter than being able to make a difference in a furry friend’s life… Except for doing it while eating a delicious waffle from the CVU Cafe! Every year, Leo LaForce and the CVU Student Council team up to set up Cafe for a Cause, where the profits of all purchases at the cafeteria for one day go to a certain charity. There is also a raffle managed by Student Council and this year there was a donation table as well. This year, the charity was the Humane Society of Chittenden County. One thing that makes this event possible is the support of the community, which became apparent when LaForce approached the Chief Operating Officer for the CVSD district, proposing the idea. “He said ‘go for it!’” LaForce recalls. The Cafe relies on donations to make this possible, which makes community involvement even more valuable. This year, the Humane Society was chosen by Leo LaForce as this year’s lucky charity. Some years, like last year, it is selected by the CVU Student Council. Last year, the profit was actually split between the Richmond and Hinesburg Food Shelters. However, this year, the Chittenden Humane Society was the sole organization receiving profits. The mission statement of the Humane Society is “to foster compassionate treatment of animals and prevent animal suffering; to strengthen the human-animal bond; and to further the cause of responsible animal ownership through education and public awareness,” according to their website. I mean, who doesn’t love helping animals find a forever home or helping provide them with proper healthcare? LaForce felt this was a really great fit for this year’s donations. “It’s not just helping animals; it’s helping people! Everyone knows how important a pet is to them.” It is also very local, which some people may not know. The Chittenden Humane Society, although the same organization, is not directly affiliated with the National Humane Society in the realm of donations. “They have to raise money for what they do for their own individual charity,” Leo comments, highlighting the importance of helping the local strands of the larger organization. Cafe for a Cause can help make a significant difference for whatever charity is chosen that year since it raises a lot of necessary funds. According to Leo LaForce, “We raised $347 through Raffle sales and $7,403 through Cafe sales to total $7,750 dollars.” Considering the current student enrollment, there was a good turnout. “Out of 1308 students we served 357 breakfast meals (27%) and 774 lunch meals (almost 60%)” and “out of 300 adults we served 38 breakfast meals (almost 13%) and 75 Lunch meals (25%),” Leo LaForce mentioned in a school-wide email. These numbers are impressive in comparison to some recent years, and it can significantly help the Humane Society. Putting on such a large event requires the support of many people and groups. Student Council helped to put together the morning waffle bar for Cafe for a Cause and assembled a large raffle. The raffle included prizes ranging from a FitBit to a french press, all due to generous donations from many businesses. Jessica Ke really lead this project and expertly organized the student aspect of this event. Her efforts were greatly appreciated this year in helping it run smoothly. Although this event was a success, there is always room for improvement. Andre LaChance has consistently assisted with organizing students, as well as the critique of the event so that it can run more smoothly next year. This is extremely helpful in many ways. Compared to last year, there was a significantly higher profit this year, showing that things are already improving. Also, many a variety of new local businesses donated products to the raffle, creating new bonds within the community. Overall, Cafe for a Cause was very successful this year, and a great idea that has been well refined at CVU. Simply by eating some delicious tortellini or enjoying a cup of coffee, the lives of precious pets are improved. Just in time for “giving season” and CVU’s Attitude for Gratitude Week, this event furthers the idea of giving and gratitude. Leo LaForce said his “favorite part is seeing the amount of support from the CVU community, the amount of students that come in, the amount of adults that come through, and the amount of joy they seem to be taking in that event.” He was very grateful for everyone who helped out with this event. He was also able to spread the kindness. LaForce said that another one of the most rewarding parts of this is “the joy we see them experience and seeing what it can do.” With this in mind, take this as inspiration to spread a generous and gracious mentality like this event does. Finally, remember to look out for Cafe for a Cause at CVU in future years! Interested in the cause? Visit the Chittenden Humane Society webpage at the link below! Imagine moving to a foreign country all alone for nine months and not being able to speak in your first language. Why did over one million students in the US decide to take this risk, and what are the potential benefits? Frans Lindberg, an exchange student at CVU, explained his reason for why he made the decision to come to the US. “It is a family tradition, both my older brother and sister went abroad for a year.” He said that playing for the soccer team in particular was a great experience that made his year. Not only is CVU an easy school for the agency to work with, but the students find it to be a great place to live and learn as well. Lindberg said, “The teachers are great and if I have a question in class I do not hesitate to ask. The language barrier was small at the beginning of the year and has got increasingly smaller as my time at CVU goes by.” CVU is great for exchange students, and exchange students are great for CVU. They provide a different perspective on the world and help other students at CVU see themselves from a global point of view. With seniors gearing up to graduate and juniors starting their college search, many teens are left wondering what they should be looking for when trying to find the right college for them. While searching for colleges can be hard, there are some things to consider about a school to make the picking process easier. One of the Chittenden Guidance Counselors, Sarah O’Hara- Hughes, says a few things to think about are the size and location of schools. Where a college is located is one of the most important things that a person should take into account. Another important trait of a college is majors. If you know what you want to major in, you have to make sure that the college you choose offers it. Hinesburg VT– Although Grad Challenge has changed from a research process to a reflective one, some students say the stress and anxiety for them has not changed, even though they may see the purpose of Grad Challenge. If everyone was given a break to spend an hour outside every day, we would all be much less stressed as the research shows. The time allows kids to have a mental and physical break from the blocked out back-to-back schedule. Instead of going from one class to the next, never giving their brain a chance to rest, they would be able to have a moment to simply breathe. Healthguide.org asserts that exercise decreases depression, anxiety, and stress. It would also allow students to get up and move their bodies which could reduce fidgeting in classrooms. For many kids at CVU, coming back after the summer break is hard. Many of them spend their free days enjoying the warm Vermont weather outside. During break, kids are free to move about to their hearts’ content because of all the extra time they have. Students can spend time getting exercise, being outside, seeing friends and family, exploring new places, and learning about things that interest them. The big thing is that this is all possible even with a persistent schedule. For example, I had a job this summer. I was able to stick to my daily schedule at work and then have free time to do what I wanted for the rest of the day. I was also able to pick a job that I enjoyed. I worked outside because that is what is important to me. The stress of school life doesn’t allow for people to make these types of choices. However, one way our school is addressing this issue is the new RISE program. For the two week, end of school period, students can choose to take classes in many different subjects that interest them or do an independent study. It allows kids to have a well deserved break from stress while still learning. Although this is a good step forward, RISE doesn’t fix the fact that we are cooped up inside all winter and fall, having our energy drained by fluorescent lights and plastic chairs. Whether it’s the incorporation of a green space, an extended lunch/recess, or the elimination of homework to give more personal time, there’s no doubt that there needs to be a way to let our brains and bodies rest throughout our busy school days to come. HINESBURG, VT — The Department of Labor states, “The proportion of women with college degrees in the labor force has almost quadrupled since 1970. More than 40 percent of women in the labor force had college degrees in 2016, compared with 11 percent in 1970.” On Wednesday, September 19th, Kathleen Gibbs announced her new role as advisor for the CVU Gender Equity Club. Gibbs shares, “As a mother of a fifteen year old daughter, I clearly have a personal investment in this issue. I want her to have every opportunity in school, in life to grow into a confident, happy, self-reliant individual. Ms. Gibbs, herself, has taken advantage of her opportunities. She went to the University of Vermont for a degree in English. In her junior year of college, she attended the University of Kent in Canterbury, England. Gender equity is generally perceived as being a “women’s issue.” However, Ms. Gibbs has a goal to focus on the issues facing men such as, “How do young men learn to be good fathers? What is it like to be a young man growing up in the ME TOO era? How is education failing boys today?” Gibbs hopes that male students will want to educate themselves about the issues facing women today. Early Decision: A Faustian Bargain? The deadline is coming. The pressure is on. As if college itself isn’t daunting enough, how about early decision? Early decision is a binding college choice. This means that if you are accepted, you’re going. With early decision, students have to apply significantly earlier than the non-binding regular decision, as well as decide exactly which college they want to go to. Early decision requires quite a lot of certainty, and requires students to meet early application deadlines, but the rewards can be significant. It’s like signing a blood oath. But it’s worth it. Early decision usually requires applicants to submit their application by November 1, as opposed to regular decision deadlines that usually fall somewhere from December-February. There are three possible responses to an early decision application. Accepted, deferred, or denied. When an applicant is deferred, this means that the school they applied to liked their application, but before admitting the student, they’d like to see how the applicant compares to students applying regular decision. In the case that an applicant is either deferred or denied, this early response allows them time to complete and update a new application to submit to other schools during the regular decision process. For those who are accepted, they have a set college plan months before their peers, giving them some time for some much-needed rest. Early decision has also proven itself to be a pretty elitist process. For students who are accepted early to a college and bound by their decision, they are unable to compare financial aid between multiple colleges. This ends up preventing quite a lot of students from partaking in the ED process. Naomi Williams, Chittenden Guidance Counselor, says that “while [early decision] is a great option for many students, it is a huge decision that students typically make with their families. Since applying ED is a binding agreement and [applicants] will not be able to compare financial aid offers from multiple colleges, it is important that these factors are considered.” Most schools will allow a student to back out of the binding contract if they truly don’t receive enough financial aid, but this still leads to a missed opportunity for the student to apply ED to another school that may have provided them with enough support. So what’s the big whoop? The CVU library is a place students come to study, socialize, and collaborate with one another. “[It] is a place where people can connect,” said Peter Langella, a CVU librarian. “Students can connect with the school, with other classmates, and with themselves.” Though it may not seem like it at first to many, there is a lot more that goes into keeping the library such a great place. The CVU library is constantly adapting in order to fulfill the needs of the entire student body. The library most certainly offers different spaces for people to learn, and students can take their pick on where they will be most productive. “The library gives students a place to collaborate,” says student body president Bennett Cheer. “That’s why I keep coming back.” There are a lot of qualities about the library that make it the preferred study area for a lot of students. “It’s quiet, calm, clean, and a good place to come get work done,” said CVU student Nikos Carroll. Nikos is among the hundreds of students that come into the library every day of the school week in order to do homework, study, and collaborate in a place that satisfies each need. Champlain Valley Union High School Co-Class Presidents Nicole Eaton and Bennett Cheer share an interest in promoting inclusivity, kindness, and involvement at CVU, attributes they have both learned at their homes in Williston. Photo of Champlain Valley Union High School Senior parking lot, courtesy of Samuel Knox. Hinesburg, VT — As Champlain Valley Union High School (CVUHS) seniors wheeled into school on August 30, 2018, they brought more than just their school supplies; they were required to present their license, registration, and $50 (payable to the school) to Debbie Seaton at the front desk. When the Champlain Valley Union High School Seniors were given a survey asking them how they felt about their parking lot, 82.1% of them felt as if the lot was “well maintained.” However, in the same survey, when asked on a scale from one (“very upset!”) to ten (“happy to pay!”) about how they felt about their $50 parking fee, the average response was a four. When most people think of famous scientists, they think of Albert Einstein, Thomas Edison, or Isaac Newton. While these are three important contributors to our body of scientific knowledge, it’s not a particularly diverse group. While the field of STEM (science, technology, engineering, and mathematics) was once dominated by white men, we owe our current understanding to men and women from all nationalities, ethnicities, and origins. Nicole Gorman teaches AP Biology at Champlain Valley Union HS. Despite the quick pace of lessons and massive amount of content that she covers, Ms. Gorman always takes time during the unit on genetics to discuss Rosalind Franklin, the woman whose chromographs of genetic material — shared by a colleague, without Franklin’s knowledge or permission — led to Watson and Crick’s double helix model of DNA. Although Franklin’s work allowed Cambridge University geneticists James Watson and Francis Crick to accurately model DNA, she did not receive a Nobel Prize. Franklin died at age 37, likely a result of exposure to X-ray radiation in the line of her research. Ms. Gorman teaches this lesson for several reasons. First, she says, “I like to talk about the scientists that contributed to our understanding/helped to explain a variety of foundational concepts… One compelling reason to point this out is to encourage students themselves to ask, discover and explain.” She also thinks that it is an important lesson in collaboration; too many young scientists think that working together is not necessary. Lastly, Gorman takes this opportunity to talk about taking credit for the work of others. “The story of Rosalind Franklin is an interesting story about how this can and does happen,” she says. Rosalind Franklin is just one of many inspiring scientists in her field. But in CVU’s AP Biology classroom, her story is inspiring the scientists of a new generation. College Tuition: “A Never-Ending Trend Toward Absurdity”? With the recent CVU College Fair, students have the years after graduation on their minds. Questions on tests, applications, and final decisions are occurring even to 9th grader’s. A main worry is the unavoidable fact that college is expensive and getting more expensive every year. It’s well known that college will make a larger dent in one’s wallet than it used to, but just how much extra stress is being put on college students these days? According to Forbes, as of 2013, the total loan debt of students graduating from American colleges is $1 trillion. To say this is an outrageous amount of money would be an understatement. But will college ever be less expensive or are students’ tuitions on a never-ending trend toward further absurdity? Matthew Seklecki is the Senior Associate Director of Admissions at Saint Michael’s College in Vermont and has seen firsthand the effects of a large price tag on college enrollment. He explained where St. Michael’s gets its funding: “We receive the mass majority of our funding from tuition dollars and that runs our funding budget. College is costing more than it used to.” The latter is clear, but it can be hard to understand precisely why college expenses are rising.